What has evolved (or devolved) into perhaps the most controversial election in American history, could translate in a couple of months into a whirlwind for labor and workplace safety policy. Stark differences between the major candidates promise either an onward march for Obama-era rules and enforcement philosophy, or a sudden rollback of the Obama Administration’s aggressive regulatory and enforcement agenda. How this election turns out will have lasting consequences for a range of labor initiatives and policies, many of which have led to some of the Obama Administration’s most heated policy debates. These range from forcing disclosure of so called “persuaders” involved in union organizing to a public shaming campaign seeking to put employers’ safety data online. As we discussed during a recent Conn Maciel Carey webinar, the results on Nov. 8th will have a huge impact on how the Labor Department proceeds with both new regulations and enforcement policies. Everything from Wage and Hour to OSHA and MSHA will be affected – and stakeholders will feel the differences quickly regardless who wins the election. On most issues, a Clinton win would cement what the Labor agencies under Obama view as their mandate to keep issuing tougher rules on behalf of workers and unions. Generally, an election of Trump means DOL will scrap the lion’s share of its current agenda, and begin to repeal regulations finalized over Obama’s two terms, since his economic plan relies heavily on easing regulatory burdens on businesses. One of the areas we expect to see a clear continuation of Obama policies under a potential Clinton presidency would be aggressive use of executive orders to shape federal labor policy. President Obama has used this power frequently, and there is every reason to believe Clinton as president would continue that trend. Support raising the federal minimum wage to $12, and local government efforts to go even higher. Clinton has campaigned on a $275 million infrastructure plan she would present to Congress in the first 100 days of her Administration, as well as immigration reform that includes a path to citizenship. Clinton also proposes to increase the Child Tax Credit from 15 cents to 30 cents of every dollar earned above $3,000. What we can expect to see under a Clinton presidency is more legislation by regulation and more forceful action at EEOC, DOL and the National Labor Relations Board. The agencies have been incredibly active over the past several years and put a strangle on many business owners, leaving them irritated and burdened by the onslaught of federal rules. DOL’s new overtime rules are set to go into effect and employers should not count on them being reversed, certainly not if Clinton is elected. Also, the Department of Labor will continue its focus on joint employers and misclassification issues under a Clinton-appointed secretary. Trump has not articulated a clear Labor agenda, but says he has an economic plan to create 25 million new jobs and grow the economy at 3.5 percent annually. His child care plan includes six weeks paid maternity leave. He has been all over the board on the minimum wage, however, in some cases proposing “at least” $10; in others eliminating a federal minimum wage entirely and leaving it to the states; or just not raising it. The one common theme through most of Trump’s campaigning has been reducing the federal government’s influence in the workplace, so we can expect to see a big u-turn from the Obama Administration’s invasive management of Labor policy. The greatest impact that either candidate will have on future labor policy is through the judiciary. The next president could name as many as four justices to the Supreme Court, the most since the Nixon Administration. This will result in a significant ideological shift on the Court. Trump has said he would favor conservative justices in the mold of Justice Scalia, while courts under Clinton will drive decisions in favor of workers’ and unions’ rights and issues. If Hillary Clinton wins the presidency, in terms of OSHA regulation, you can just photocopy President Obama’s most recent regulatory agenda, and stamp a new date on it, because the agency will basically be a carry-over from the Obama Administration. From an enforcement standpoint, we can expect to see a Clinton Administration carry-on OSHA’s new focus on seeking criminal charges, using press releases to “shame” employers, filling up the ranks of its Severe Violator Enforcement Program, and finding and citing more willful and repeat violations. In terms of exposure limits, OSHA initiated what many saw as an interesting academic exercise under Obama to bring together experts to study how the issue of outdated permissible exposure limits could be addressed without undertaking dozens of individual chemical specific rulemakings. This is a longtime priority for the agency and one of its most challenging from a process standpoint. If Clinton wins, we can expect this issue to gain traction. Another renewed initiative we could see from OSHA under a President Hillary Clinton is a serious attempt to advance a new Ergonomics rule, or a series of new industry-specific ergonomics rules. A comprehensive Ergonomics Standard was her husband Bill Clinton’s crowning OSHA achievement in the 1990s, but it was quickly overturned by Republicans under President George W. Bush. The lack of ergonomics regulation and enforcement is generally thought to be the “elephant in the room” from the OSHA regulatory standpoint, and given the chance to vindicate an important Bill Clinton policy, we could see Hillary Clinton revisit this issue with great interest. Under a potential President Trump, all bets are off for the Agency, as he would likely throw regulators a huge curve ball. He has not spoken much at all about workplace safety and health issues on the campaign trail. He is, however, a businessman who has long been involved in construction, and as a result has a personal history facing enforcement by OSHA, which is one reason he is probably not talking much about OSHA issues on the campaign trail (this could be used as a political issue against him). But have no doubt, he has strong feelings about workplace safety rules. While that may not be realistic, overall, you can expect his Administration would decrease the federal government’s presence in the workplace. Some obvious OSHA regulations to target for repeal under a Trump Administration would be the new electronic recordkeeping and anti-retaliation rule, the new hospitalization and amputation reporting rule, and the Silica Rule. 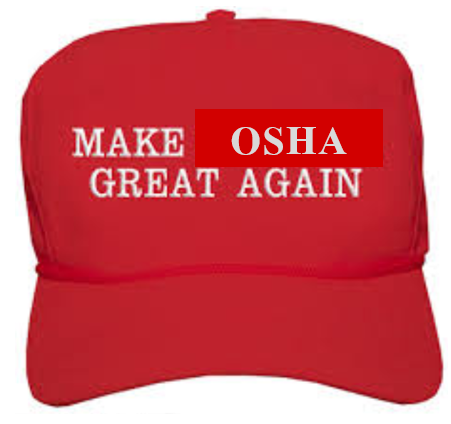 From an enforcement standpoint, OSHA under a Trump presidency would likely look more like George W. Bush’s OSHA, which stressed compliance assistance and fostered the cooperative programs like VPP, than Obama’s OSHA, which shifted almost all compliance assistance resources to the enforcement side of the house, and has done what it can to destroy VPP. While the presidential election is front and center, it is also important to keep an eye on Congress, particularly because OSHA reform legislation, generally referred to in Congress as the Protecting America’s Workers Act, has been introduced by Democrats in one form or another for many years. If the Democratic managed to take control of both houses of Congress, coupled with a Clinton White House, certainly would raise the prospects for the passage of this bill, which would increase the types of worker safety violations that can be charged criminally, the stakes of a criminal charge, and the availability of charges against individual managers. You can pretty much replace the “O” in OSHA with an “M” for a forecast of what to expect from either of the two presidential candidates when it comes to mine safety policy. Looking at MSHA itself, the Agency has been largely bipartisan, in that the major steps in creating mine safety laws and enforcement have been reactionary; that is, significant steps are taken in response to mining disasters, which results in new federal policies generally being reached with consensus. Although neither candidate’s or party’s platform specifically address the Mine Safety and Health Administration, Hillary Clinton’s 2008 election materials provide some guidance as to her position on the agency. One point we have seen from Clinton is that she wants to have a more proactive approach to mine safety, and get away from the reactionary nature of previous mining laws. New legislation would build upon the MINER Act of 2006, but more immediately, the industry could see significant changes by finalizing what MSHA is already pushing in its current regulatory agenda. 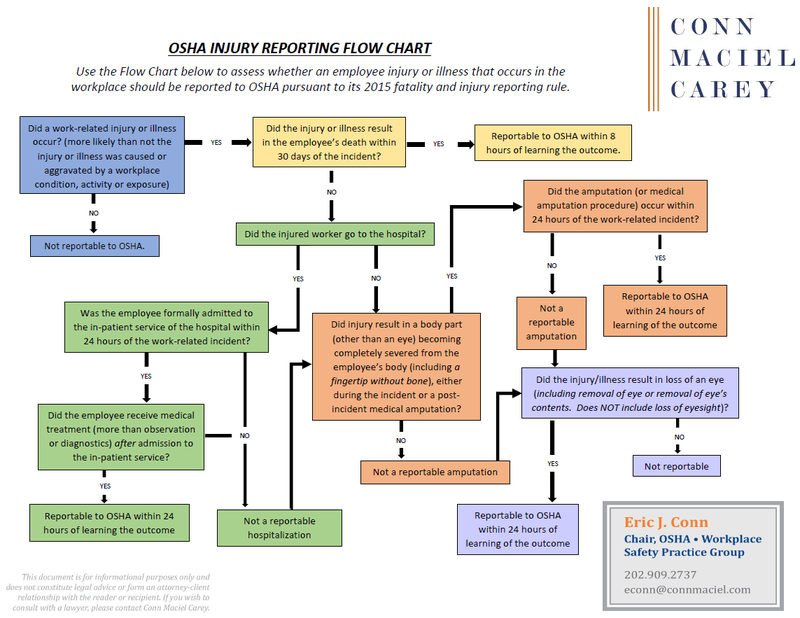 For example, MSHA has proposed rules to increase workplace safety examination requirements for metal and non-mental mines, and to reform MSHA’s citation and penalty assessment system. Grant new protections to miners for discrimination claims. A Clinton presidency, coupled with a shift in Congress, could give this onerous bill a chance to become law. If Trump wins the election, it is hard to predict mine safety policy. The lack of attention to mine safety and health by both parties, coupled with a lack of history revealing Trump’s position on issues in previous elections or public service. Nationally, mine safety is not really the hot-button issue it was in 2008 right after the mine disaster of 2006 and the MINER Act, so it has not garnered much media attention during this election cycle. However, we do know the regulatory philosophy under a Trump presidency would be to cut regulation, and there is no reason to doubt this would apply to MSHA. Trump claims he will cut regulation by more than 80 percent across all agencies. He targeted the coal industry during campaigning, promising to revive the industry and areas crippled over the last decade. For MSHA that most likely means a freeze on any new regulation pending or anticipated on the agenda, such as a new MSHA Silica rule. We would also see a new agency head who favors less regulation and more compliance assistance than enforcement. Whether it is a third term of Obama policies and a push to strengthen federal labor laws, or a pull back on regulation and enforcement, this is a pivotal election when it comes to the future of labor laws and policy. As the end of this most improbable political season draws near – and the new Administration gears up for its transition into office – it will be fascinating to see how these issues, from workplace safety and labor and employment, all the way to the top tiers of the United States judicial system take shape.